We are Christ Followers, previously from a Hindu background, who will be serving our country in India through Grace Klein Community. 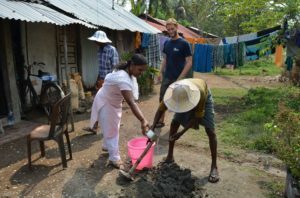 I, Steven,* currently work as a Scientist at Emory in the field of Advanced Biotechnology and my wife Sarah* is also a Scientist in India. We have two children. I was born and raised in an Indian village farmer’s family as the oldest among three brothers. Mother and Father were hardworking farmers and because of their help, I could finish my schooling. During the Master’s program I was provided a fellowship, and later, qualified through the national entrance exam for a fellowship from the Indian Government to secure my PhD. Later, I married my wife and relocated to Atlanta, GA, to complete my postdoctoral studies at Georgia Institute of Technology. Meanwhile, my wife, Sarah,* was at Rice University, Houston, for her Postdoctoral studies. While I was growing up my parents told me that since I was doing well in my studies, as well as being the oldest son, I should take care of my brothers and whole family. I was the only one engaged in higher studies in my whole community. I was burdened with the expectations of my parents, the uncertainty of the future, and how I would care for my whole family. Also, while growing up, I was on a spiritual quest as I was born into Hinduism. I always believed in God, but my soul lingered with questions. If there is one God, why do we have so many forms and names? Why do we have so many religions? Why does each religion teach differently? Why do we have conflicts between these religions? If every religion teaches about God and peace, and if that’s true, why do great wars happen and many innocent people are killed in the name of God? I also wondered how one’s soul can have salvation/moksha? I questioned why we worship God in the form of an idol when there is no life in idols. I never felt hope in reincarnation. Why a cast system? Why mistreatment of people based on cast and religion? And then other issues such as temple prostitution and the untouchability and beggars in front of worship centers. Yet, neither priests nor the government were doing anything? Being away from home, since the 8th grade, I missed family horribly and felt so much loneliness. Friends were everything. Due to all the burdens and stress, I started smoking cigarettes heavily with my friends and that affected my health in different ways. During my PhD, the relationships started breaking within my own family. I became restless about all those broken relationships. After marriage, this restlessness haunted me and affected my own marriage. When I asked my wife how to get rid of all this chaos that was impeding my ability to focus on our relationship, as well as my work, she shared the Gospel. She explained that God is Love and when we experience His love, we will be able to love others. She also shared how Jesus Christ died for our sins on the cross and was raised on the third day to set us free from guilt and shame. Jesus gives us freedom to worship. Though I was rude, rebellious, and proud in accepting The Truth, she emphasized, “I have a relationship with God as Father and daughter and I can talk to Him whatever I feel and that is my prayer for you.” Her words opened my mind, and my whole life, and I realized I was longing for such kind of love. I started attending a local church. Pastor Thomas* would come and pick me up and host me in his guest room. His family was so kind to care for me. Pastor would talk in very gentle and loving ways, all about spiritual things, and take me to church. When I went to church the first time, the Brothers and Sisters received me well and I could feel these people are different, there is love among them, and that love and acceptance took me. Of course, my wife, her church, and the Atlanta church were praying for my salvation and healing. One night I was totally broken and I cried out to God asking, “Lord if you are real, take off this burden and give me peace and I give my life and I would serve you wholehearted.” I opened up my Bible and started reading Psalm 34 and those verses really hit my soul. “I sought the Lord, and he answered me; he delivered me from all my fears. Those who look to him are radiant; their faces are never covered with shame. This poor man called, and the Lord heard him; he saved him out of all his troubles”– vs 4-6. I was poor in every way spiritually, mentally, physically. The 18th verse says: “The Lord is close to the brokenhearted and saves those who are crushed in spirit.” This verse really hit my soul and I started wondering how does this book know that I am broken and crushed in every way? I started believing and started crying as I felt God’s grace and peace. The next day, I stopped smoking, after ten years of smoking, and I started rejoicing by saying, “Thank You, Lord Jesus!” The Lord transformed my life and I gave my life to Jesus on October 3, 2010, in Atlanta, GA.
All these years, though I had done well in my studies, earned a PhD, and conducted great research in the field of stem cells and regenerative medicine, I was broken inside and found no contentment with my knowledge of science or success in the field. I was trying to find my identity in science, knowledge, success and self-glorification, by chasing the American Dream, but in reality I was longing for bold love, acceptance, peace and contentment of my soul. Inside, I was burdened, filled with hopelessness, and darkened in my ways. Meanwhile, I was carrying all the expenses for my brother’s marriages and helping in their businesses. I started to care for my own immediate family and no longer carried the burden to cover the expenses of all my extended family. My wife started seeing tremendous changes in my life because the Lord was working in me through the Holy Spirit and His Word. I had stopped smoking and I started waking, singing songs, reading the Word and praying with tears. I still remember my wife saying, “I never saw such a thing in my life where someone can be transformed in such a fast pace,” but we praise The Lord and I give all glory and honor to Him, taking no credit for any of these things. I knew my life the past 30 years and I know that since October 2010 what the Lord has done in me. From my time before Jesus, I knew what it meant to live in darkness and ignorance. Now I know what it means to live in Light, love, enlightenment, and in the Kingdom of God. Later on, as I knew more of Jesus, I became hungry and thirsty to know the Word and became strong by my wife’s discipleship through the Word of God. The book of Acts, especially Paul’s life and Stephen’s death for the Lord’s name moved my heart and impressed my opinions about Christianity. God also used David Platt’s “Radical,” Richard Wurmbrand’s “Tortured for Christ” and Francis Chan’s “Crazy Love” books to change my life. We started praying about returning to India to work among the Gentiles as I have seen and experienced the love of God in my life. God is the only One who filled me with me love, faith and hope. He taught me what it means to be forgiven and forgive, to care for the oppressed and outcast people, to be a voice for the voiceless, and to defend the poor and oppressed. 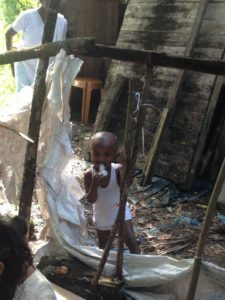 I have always loved the poor, but I also knew their hopelessness and brokenness. In India, the poor have been oppressed in so many ways such as: religion, cast system, dowry system, superstitions, poverty, political system, hierarchy, corruption, illiteracy, injustice, debts, diseases and natural disasters. The oppression manifests in crime, violence, prostitution, gangs, goons, burglaries, religious riots, terrorism, honor killings, and human trafficking. The poor live in hopelessness and utter darkness. Their innocence and illiteracy becomes an advantage for the ravaging wolves. They are totally helpless. There is no guide and hope for them. Only our Lord Jesus can break these curses and chords and set people free from their sins, darkness, and oppression. He gives freedom and fills us with love, hope and contentment; consider my own story as a witness. With zeal and passion, we resigned our jobs in the USA during October 2011, and returned to India to preach the good news to the poor. 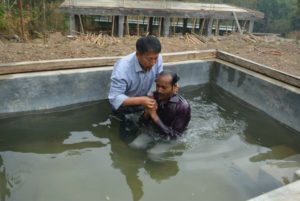 The Lord provided us jobs in the Scientific Profession in India while we started church planting among the North Indian migrants. We also invested in a cancer charity, where we support children suffering from cancer and we have seen a family come to know The Lord. 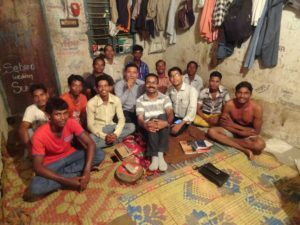 We also taught Bible college students and trained them in local evangelism and church planting. We encouraged broken families from different religions at our local church retreat center. 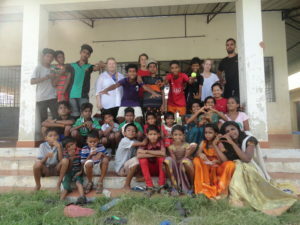 We also did some work among the slum dwellers where God used us to educate the children and empower the women. 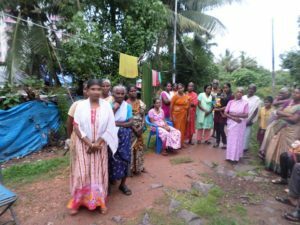 In the slums, we were reminded and felt the impact of untouchability, poverty, spiritual oppression, brokenness, darkness and hopelessness. During 2013 I returned to Atlanta to do my research and met a couple of the servant leaders of Grace Klein Community, based in Birmingham, AL, through our common friends and African missionary brother and sister. Our friendship has grown so strong through Oak Mountain camping trips, as well as multiple worship and fellowship opportunities. Many members of Grace Klein Community have become my dear brothers and sisters in Christ and I have learned so much, from their lives, the love for Jesus and community, their serving hearts and their humility. When a community family hosted me for a couple of days, I was overwhelmed by their love and caring and gained a deep understanding of their commitment in and to God’s Kingdom and for His commission. 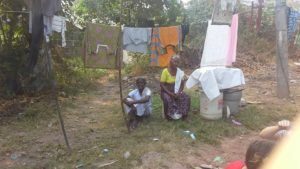 With God’s calling confirmed, through discipleship training we will receive from Harvesters International Ministries, and under the care and oversight from Grace Klein Community, we would like to make disciples of Jesus among the slum dwellers. Our goal is to begin serving the slums in December 2016. There are 116 families in the slum and we would be training children for their higher education as well as planning empowerment programs for the women. I really appreciate Grace Klein Community for giving us this opportunity to partner with them and entrusting us to God under their care. Members of the community will invest emotionally and spiritually in the lives of my family, encouraging us through God’s word, overseeing the funds given to support our outreach efforts, and most importantly keeping us in prayer. I thank you for being a member of Grace Klein Community and partnering with us in our obedience as you come alongside us to honor and worship our Father through prayers and finances. We cherish your investment in us and in the advancement of the Kingdom of God! If you feel God leading you to contribute financially, please share a one-time or monthly donation to support us in our ministry.